The other day I was asked to do an interview for an upcoming documentary on the Golden Knights magical season. It’s called Valiant and it’s supposed to be released by the Summer of this year, but more on that when it comes out. I knew I would be asked plenty of questions about the Expansion Draft, so I was going through some of my notes, reading some of the articles we published around the time, and trying to relive the entire thing so I’d be prepared. Looking back, that whole week was a complete blur, and I’m assuming it was for everyone as the Golden Knights went from having Reid Duke, Tomas Hyka, and Vadim Shipachyov to building an entire roster which would eventually go on to win the Western Conference all within about five days time. While going through everything I found something interesting, transcripts from George McPhee’s press conferences during the three days of the Expansion Draft. If you don’t remember, teams submitted their protection lists, and then Vegas had 72 hours to submit its list of 30 selections to the league. 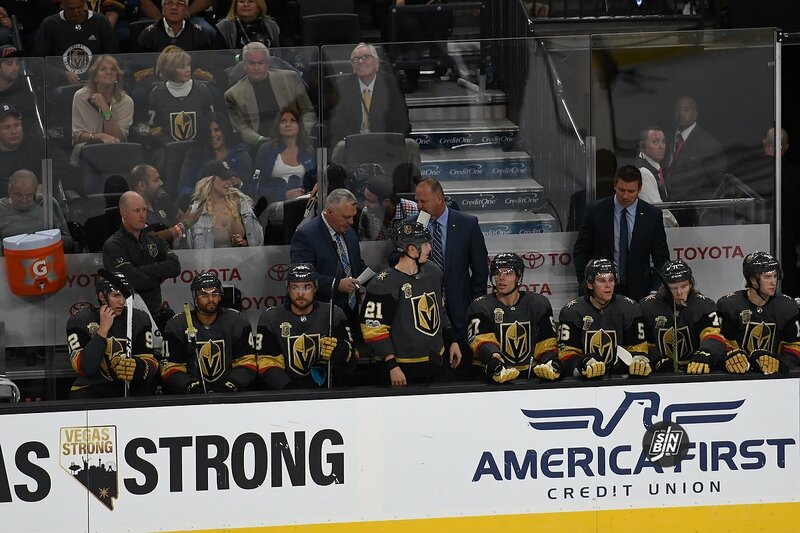 The next day each of the 30 players were announced to a massive crowd at T-Mobile Arena and Marc-Andre Fleury, Jason Garrison, Brayden McNabb, and Deryk Engelland donned Vegas jerseys after being selected. Each morning during those 72 hours, McPhee met with the media to take questions and his answers were pretty amazing now that we have context. It truly was a wild time and as always, time gives us perspective on things. The entire transcripts from those press conferences are below (plus a video of the Expansion Draft), but I wanted to highlight a few comments McPhee made during a time when everyone believed the Golden Knights would be among the worst teams in the league. Most mock drafts were full of players even fans of the teams they were being selected from had never heard of, yet McPhee was confident in speed, scoring, and goaltending. Not sure he ever thought he had just selected one of the fastest teams in the NHL, but the foresight is pretty cool. Also, the plan was to draft the way to a championship team. Instead, they went to the Stanley Cup Final and have a chance to do so again, and not a single drafted player has stepped on the ice for the Golden Knights. Things changed quickly. The mental image of that war room with names like Marchessault, Schmidt, Tuch, and Theodore highlighted in blue as “blue chip” guys is fascinating. We have a sense of which ones they got right based on long-term contracts, but it makes you wonder if there were any major misses among the blue chips. Griffin Reinhart? Oscar Lindberg? Brendan Leipsic? All were selected and kept following the Expansion Draft. Heck, Lindberg even signed a contract the next day. Hopefully, those fingers are still crossed. Click through for the full transcripts. 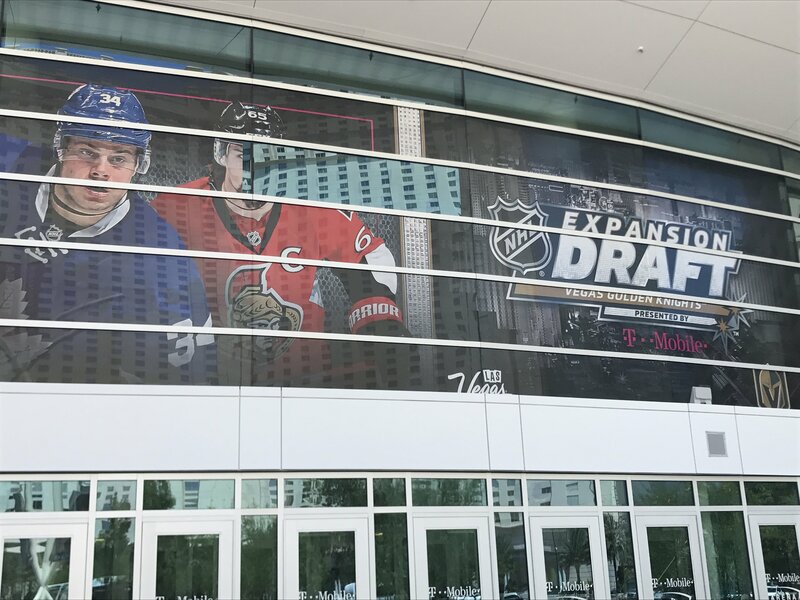 Historically when new teams are added to the NHL, they are exempt from the next Expansion Draft. The same was expected to be the case for the Golden Knights when the NHL inevitably adds Seattle. However, earlier this year Deputy Commissioner Bill Daly left the door open for the owners to change their mind and force Vegas to give a player up to Seattle. Luckily, today, Gary Bettman put a halt to that potential disaster and confirmed the Golden Knights are indeed exempt when Seattle comes into the league. Gary Bettman confirms what @Sportsnet reported in March: The Vegas Golden Knights won't participate in the expansion draft for Seattle. Otherwise, same protection rules remain. This is significant news for multiple reasons for the Golden Knights. The first, and most obvious, reason is that Vegas will not lose a player in the Expansion Draft. Clearly, that’s a benefit as every other team will be subject to the same rules the Golden Knights had when they entered in 2017. The next is because Expansion Drafts thin out the talent pool in the NHL. Rather than there being 713 NHL roster spots being available (31 teams of 23), there will suddenly become 736. Thus, it will be easier for players to make an NHL roster, meaning the talent at the bottom of rosters will be lesser than it is now. Every other team will have to replace a player with what used to be an AHL quality player. Vegas will not. The final reason is that because the Golden Knights are exempt, The Creator will not get his cut of the $650 million expansion fee Seattle will pay to enter the league. This is a blow to the owner of the team, but knowing The Creator, he’d gladly give up $16+ million to ensure his hockey team has a better chance of winning. No matter how you slice it, this is excellent news for the Golden Knights. Plus, we will all get to sit back and experience all the fun of an Expansion Draft, without fear of the repercussions that come with it. The Vegas Golden Knights are intimately familiar with the rules of the Expansion Draft and their relative favorability compared to those in the past. Thus, if anyone knows the importance of being spared from any future Expansion Drafts it’s George McPhee. 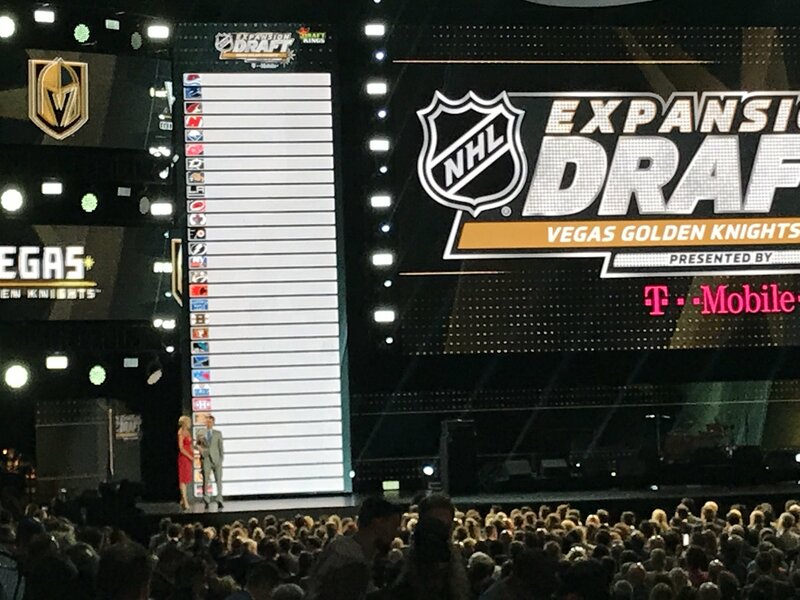 It was reported previously Vegas would be exempt from the next Expansion Draft, however, it now appears there’s a time limit on the exemption. Reading between the lines the simple way to put it is, if the Seattle bid comes through, Vegas would be exempt, if it does not, they would not be. The bad news in all of this is that there it is not expressly written that the Golden Knights are indeed exempt. Therefore, even though it appears this will not be the case, the NHL Board of Governor’s could choose to change their path and force Vegas to expose players like every other team. It’s really not something to worry too much about with the puck set to drop on the Stanley Cup Final in Las Vegas in less than an hour, but it’s certainly something that could come in to play in a big way soon. Being exempt would be a major benefit for the Golden Knights as not only would they get to keep their entire roster intact, but the league would dissipate even further. Vegas would automatically get stronger relative to the entire league. Also, McPhee would have the ability to be a workaround for some teams in the weeks and days leading up to the next Expansion Draft. It only makes sense for Vegas to remain exempt, especially if the reports are true that The Creator would not receive a cut of the expansion fee. The league appears to agree, but only for now. Hopefully the next seven games don’t change that. We’ve hit the quarter pole of the Golden Knights first season in franchise history. With it comes no better time to begin what’s going to become a staple here at SinBin.vegas, the Expansion Draft Report Card. There will be a total of three report cards each year until it becomes unnecessary. Preseason, post-deadline, post free agency. This serves as the preseason one for year one. Each selection is graded based on value. Factors taken into consideration rank as follows: Play of player selected, impact on franchise currently, impact moving forward, and other options that were not taken. Today was a big day in the world of Marc-Andre Fleury rumors, as the Penguins officially asked the back-up goalie to waive his No Movement Clause (NMC) to allow Pittsburgh to expose him for the Expansion Draft. Marc-André Fleury accepted the Penguins request in February to waive his no move clause for the expansion draft. Only for Las Vegas. But before we go into the significance of that news, let’s go all the way back to October when the Penguins signed Matt Murray to a contract extension. At that point, it was clear one of two things were going to happen (whether at that moment or later), either the Penguins knew Fleury was going to waive his NMC, or the Penguins were planning on giving up assets to the Golden Knights in exchange for passing on Murray in the Expansion Draft. We now know, the more likely of the two has happened. Fleury has waived his NMC and the Penguins will protect Murray. So now on to the next portion, “only for Las Vegas.” Here are the important facts surrounding Marc-Andre Fleury, his contract, and the Expansion Draft. Fleury has two clauses on his contract, a “No Move” clause and a “Limited No Trade” clause. These are part of the contract he signed with the Pittsburgh Penguins in November of 2014. Players with NMCs must be protected in the Expansion Draft, unless the player agrees to waive it. All contracts will be taken over, with clauses, when the Golden Knights select a player in the Expansion Draft. Fluery’s limited NTC includes a list of 18 teams in which he can be traded to. The remaining 11 he must sign off on if a deal is made. We are unaware of which teams are on this list. So, today, Fluery waived his NMC, for one purpose, the Expansion Draft. Once he is selected by the Golden Knights (or not selected by the Golden Knights) his NMC will be reinstated. His limited NTC does not affect the Expansion Draft, and will stand whether he is on the Golden Knights or the Penguins on/during the Expansion Draft. Flames GM Brad Treliving was on Sportsnet radio yesterday discussing the Expansion Draft. Calgary doesn’t seem too concerned about their situation heading into the NHL’s 12th Expansion Draft. Returning from the Rookie Combine, Treliving noticed the impact of the Expansion Draft right away. It was a very active week among NHL front offices. The Flames GM seems well prepared for the Expansion Draft and even discussed running a few mock drafts of his own. (We are still waiting for his entry into the SinBin Expansion Draft Contest) However, he knows it’s impossible to predict how it will play out. One thing Treliving can confirm is George McPhee’s plan to take back as much value as possible. It’s nothing we don’t already know, but interesting to hear it from an opposing GM. Treliving suggested multiple teams will want to pluck from the pool of players Vegas selects. Teams could add the type of player they’re looking for through the assistance of expansion. Treliving makes it sound like an old-fashioned swap meet. Two of TSN’s top analysts released their expansion mock drafts with many similarities. TSN’s Director of Scouting Craig Button and TSN’s Senior Hockey Reporter Frank Seravalli are two that are clearly in the know. From the players selected is it possible some secrets are already out of the bag? Let’s start with the obvious. Go ahead and Twitter search “Marc-Andre Fleury + Vegas.” You’ll read multiple tweets about his eventual move to Las Vegas. In fact, there are even rumors floating that MAF’s wife was in Southern Nevada house-shopping. If any of our real estate friends out there can confirm this story we’d all appreciate it. Both Seravalli and Button have Fleury taken as the Golden Knights first goaltender. Possibly the outcome of this season could impact the Cup-winning backstop’s decision. After his stellar performance in the first few series the hockey world realized Fleury has a lot left. In fact, there’s a running theory that Fleury and Matt Murray could split the Conn Smyth trophy. Talk about leaving Pittsburg on a high note Costanza. At 32-years-old, Flower could be a valuable commodity for any team. However, according to TSN experts, Fleury will waive his NMC and settle into his six-bedroom/ten bath Summerlin house Mrs. Flower picked out. A second player selected by Button and Seravalli will be excite the local core. For all that are still upset about the absent “Las” you’ll be happy to read the name Jason Zucker on both mock drafts. Personally, seeing the Wild’s forward selected puzzles me. From all accounts, Minnesota doesn’t seem prepared to move on from the 22 goal-scoring winger. Maybe, the Wild are warm-hearted and will reunite Las Vegas with a native son. The question is, what will it cost the Golden Knights. 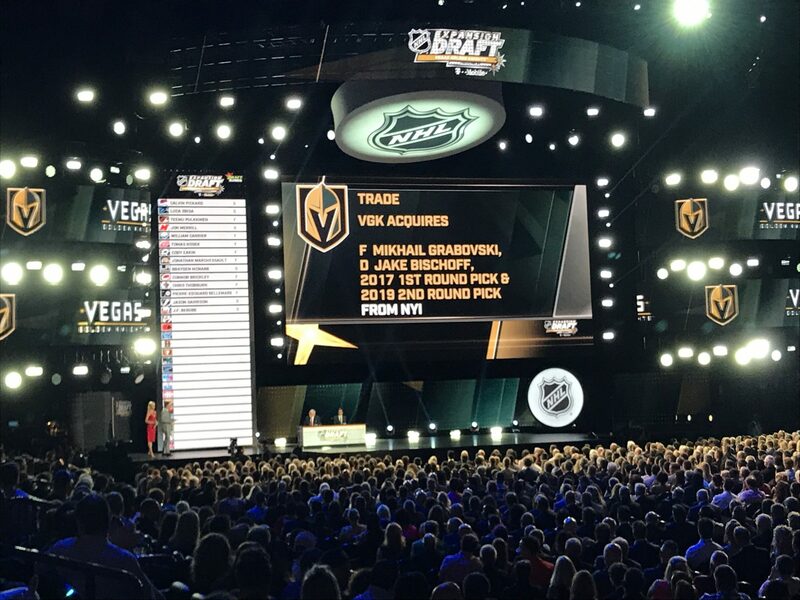 Tomorrow is June, and with June comes what will be the most exciting month in Golden Knights history for the first few years at least. June brings the Expansion Draft, the Entry Draft, and all the movement that goes along with it leading up July 1st, when free agency officially opens. June 21st will be a monumental day in the history of the club, but for those of you who can’t wait until then, the Golden Knights GM has some good news. The Expansion Draft is 72 hours long, which sounds like a lot of time, until you remember that NHL trades still go through fax machines. That’s probably not true, but the fact is, with this league things do tend to take forever, even when there’s no longer a reason to wait. McPhee and the 30 other GMs he’s looking to fleece trade with will have to iron out every last detail of each transaction they pull off. That means contracts, salary cap implications, draft picks, expansion rules, paperwork, a much more, and with each one, the league must sign off before it’s complete. When McPhee says “it’s a lot to ask,” he’s speaking out of experience, basically saying, we need to get as many trades done before those 72 hours so there’s no ticking clock to screw any of them up.